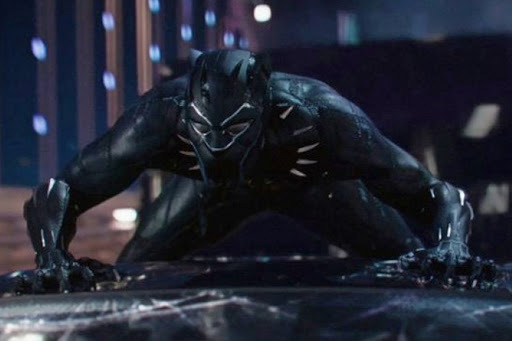 The 2018 box office got a gigantic shot of adrenaline last week with the $192 MILLION release of Marvel Studios’ 18th film in their “Cinematic Universe” – Black Panther. As a comic book fan, a fan of the character of T’Challa, the king of a fictional country in the Marvel Universe who wears the Black Panther gear, and a guy who digs the hell out of movies made about comic books and the characters I’ve followed since my youth, I guess I should review this for Film Seizure, huh? Absolutely no review of this movie can be done without addressing the incredibly important aspect that this is the first mainstream comic book superhero, adapted from actual published materials, that is entirely built around black culture. Yes, there were the Blade movies or Spawn, but they don’t exactly fit into either the box of “mainstream” or “superhero”. They were more mature characters for more mature readers that were also mostly looked at as anti-heroes. While adaptations of Luke Cage and Black Lightning also preceded Black Panther, they are television shows and not really needed to be pushed to as wide an audience as a feature film expects. Like last year with Wonder Woman, this movie showed an “all in” attitude by a major studio to feature something that isn’t done too often – having a non-male or non-white film made by non-male or non-white filmmakers. To make a movie to inspire young girls, Warner Bros. selected a woman to direct Wonder Woman. To make a movie that can inspire young black kids, Disney and Marvel chose Ryan Coogler, a spectacularly talented African American director, to head up Black Panther. These are incredibly important things to do if you want to show faith in what you’re putting on the screen when going outside the “white bread” stuff we typically see. With that said, you don’t need me to talk about how amazing it was, just from a fan’s standpoint, to see women and girls of all ages react to Wonder Woman on opening night or how happy I was to be in a showing of Black Panther on opening weekend with a large number of African Americans at a predominately white theater reacting with glee and excitement over a character that reflected the way they look, talk, feel, and think. 2. What’s the Movie Like? I wanted to make sure that I mentioned that Black Panther was the 18th movie in Marvel Studios’ Cinematic Universe built over the last ten years. No one can say that these eighteen movies aren’t well made and generally well received with a handful of hardened expectations from viewers each and every time they come along. Sure, you have some that are clearly favorites while others are clearly lower on your scale, but no one can say they aren’t well manufactured. And there’s the magic phrase – “well manufactured”. We live in a weird time for movies. Theaters are dying and studios aren’t exactly sure what their plan is when that industry finally implodes. Will they start their own streaming service? Strike deals with Netflix or Amazon or Hulu to release movies? These are legitimate questions being asked by one of the most powerful industries in American history that also see the writing on the wall. What they can do, though, is a bunch of math based on what they see making a bunch of cash or scientifically accurate marketing to find out what the average moviegoer is willing to fork out 15 bucks to see. That’s why a lot of mainstream “blockbuster” movies are seemingly devoid of risks or unexpected climaxes or often feed off our nostalgia. There aren’t too many big budget movies I see a trailer for that I can’t tell you a pretty accurate expectation of how the three acts will play out. Do movies deliver on hype… like, ever? It’s a very rare phenomenon when a movie lives up to its hype for a gigantic swath of the audience. I think it’s safe to say Star Wars is running into a little bit of a problem with being able to deliver on films that don’t result in half the fan base warring with the other half on social media. Marvel movies, while still miles ahead of anything DC can do right now, is starting to receive the dreaded “fatigue” criticism as they continue to pump out films that can’t let you ease up, take a breath, and prepare for the next installment of that universe and usually follows a (somewhat) lowest common denominator approach to the setup-conflict-everybody fights at the end three act setup. Anything made for mainstream audiences these days fit a formula that is entirely engineered to entertain us in a strictly scientific way. You throw in a little dash of this, a little splash of that, and maybe you can get a good soundtrack using popular songs from the 70s and 80s, and then you have a big ol’ fight to wrap things up. 3. Does Black Panther Deliver the Goods? Absolutely. The movie looks good. It is very well directed. The characters are interesting. The actors are brilliant. Chadwick Boseman is amazing as T’Challa while his supporting cast is fantastic as well. 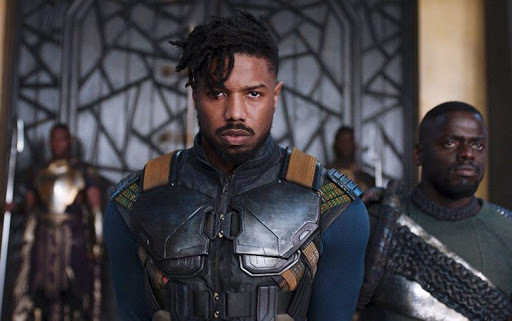 Michael B. Jordan kills it as Killmonger and gives the Marvel Universe a villain with something more to do than to obtain a MacGuffin. Killmonger has ideas and intentions and a perspective. There is a trio of ladies (Lupita Nyong’o, Danai Gurira, and Letitia Wright) in this movie that truly come across as equals with a king in what they are capable of doing and how they help save the people of Wakanda. 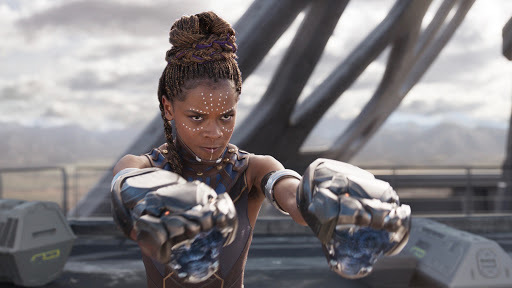 In fact, T’Challa’s little sister, Shuri, steals just about every scene she is in and that is refreshing. I strongly suggest you temper your expectations. There are lots of people writing very flowery reviews for this, just as they did last year for Wonder Woman, about how much of a masterpiece Black Panther is and how much it ranks with Shakespearean works and how this will be considered one of the greatest movies made in this century. Truth be told, Black Panther, the movie, is simply none of those things. Do not get me wrong, this is a very well made and super entertaining movie. However, when viewed through the lenses of its genre and its own series, as it pertains to the Marvel Cinematic Universe, it’s only “perfectly fine”. That means that it gives you what you expect from its genre and studio, for better or worse. 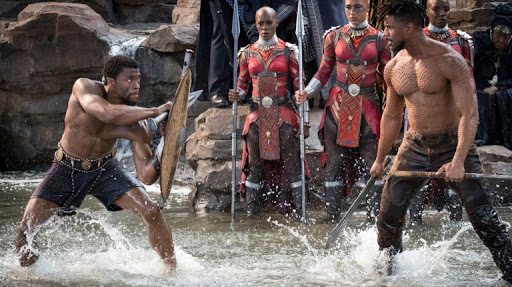 It presents some ideas that are very cool and important to discuss from the point of view of story, but it’s far from the best Marvel film, and only offers a new take on black action movies in general. At the end of the day, I have to remember that I’m not exactly the intended audience. Oh, sure, Marvel made this an exceptionally consumable experience for general audiences. Yet, my enjoyment of seeing it in the audience I described earlier in this review was great, but it was the African American lady sitting next to me in the theater who devoured every moment and visual of the movie with wide-eyed love for a major motion picture with people who matched her ideals where the movie truly resonated. 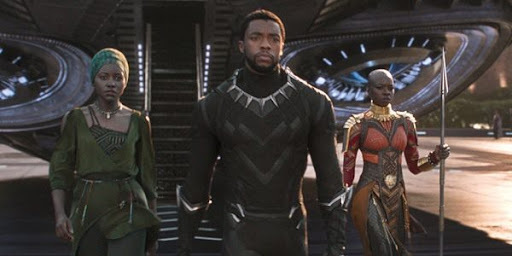 I can like this movie all I want, or say that this movie doesn’t actually wow in plot, but no criticism is going to keep a Marvel fan away or even begin to take away from the importance of Black Panther to a group of fans that are not me. And that is just perfectly fine. Really, it’s the cultural idea of Black Panther that should be held high, not necessarily breaking new ground for superhero stories in general.